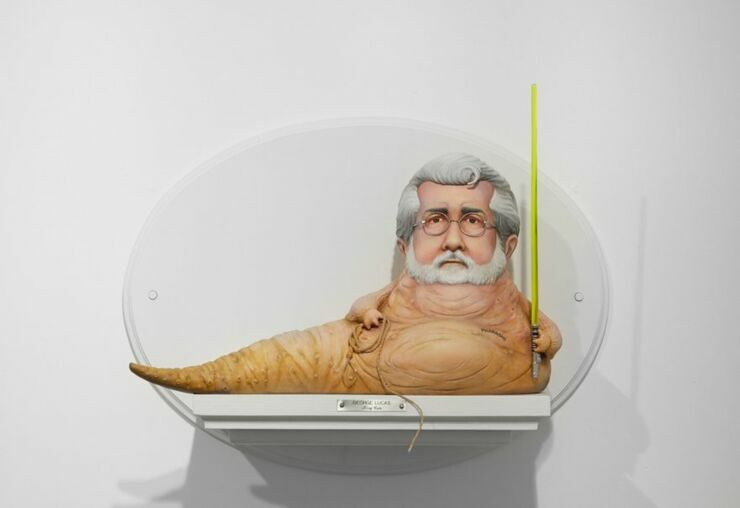 Although directors usually end up making many movies throughout their careers, it's often the case that they are associated with a few iconic characters or symbols from their movies. Think Spielberg and ET or Hitchcock and the crow, or Tarantino and Uma Thurman in Kill Bill. 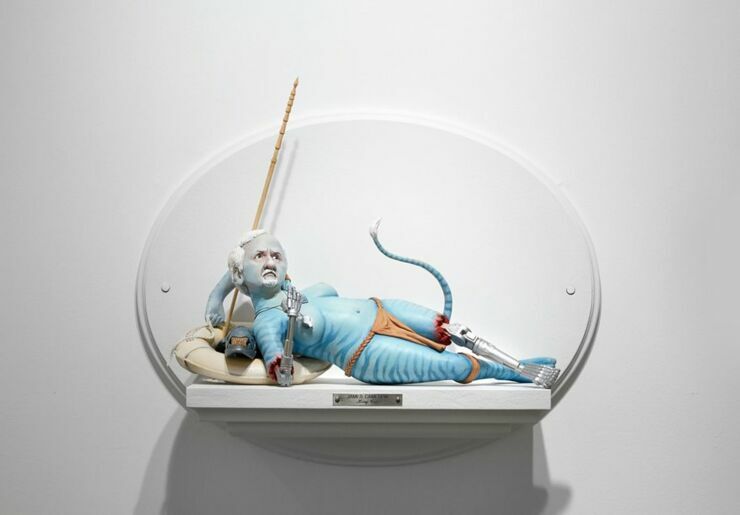 Those characters and their famous directors are the subject of a series of sculptures by American artist Mike Leavitt. 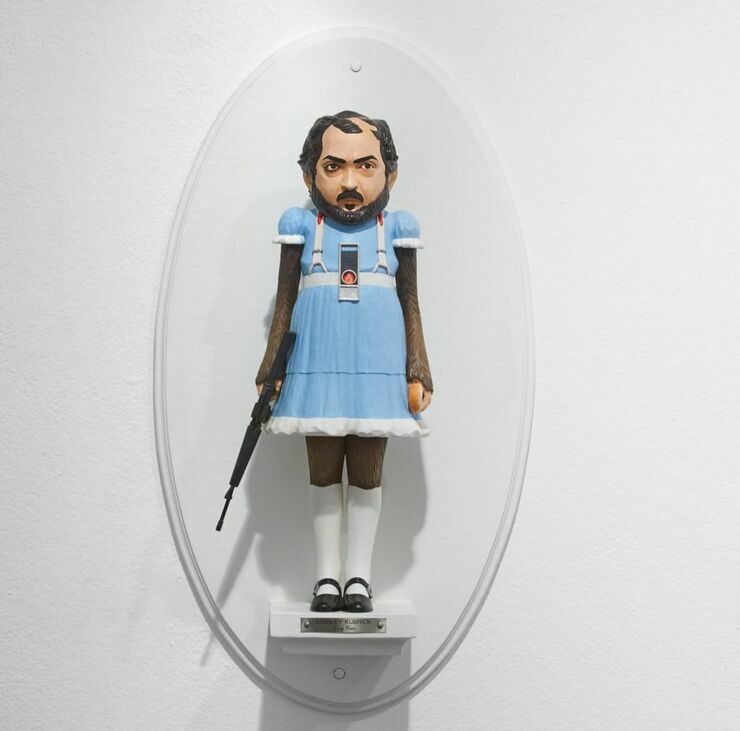 Leavitt loves the movies and paid homage to them by creating 16 wooden sculptures in a project called King Cuts. 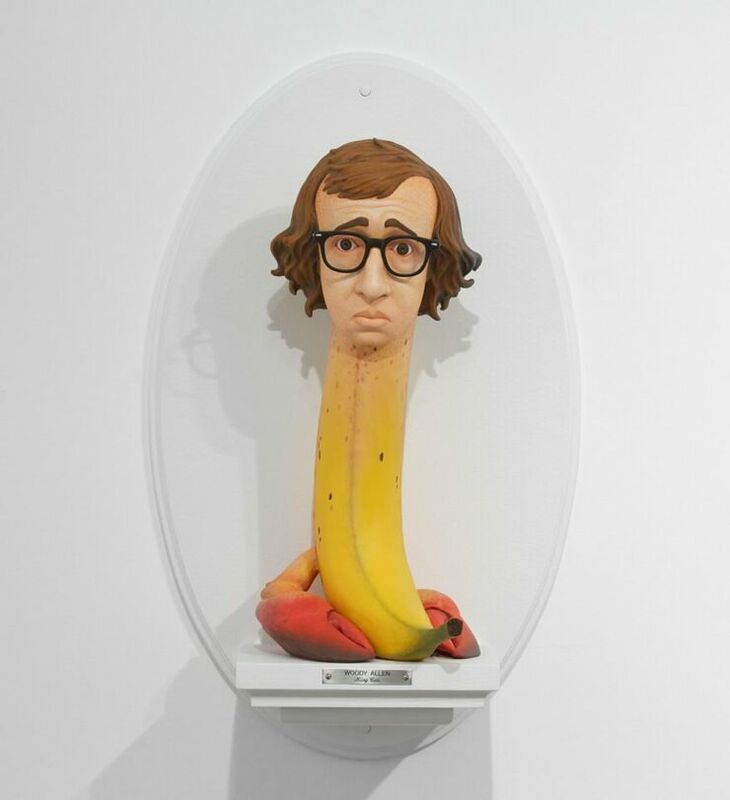 By these are no ordinary figures of the directors or their characters. These are both of those combined together into strange new hybrids. 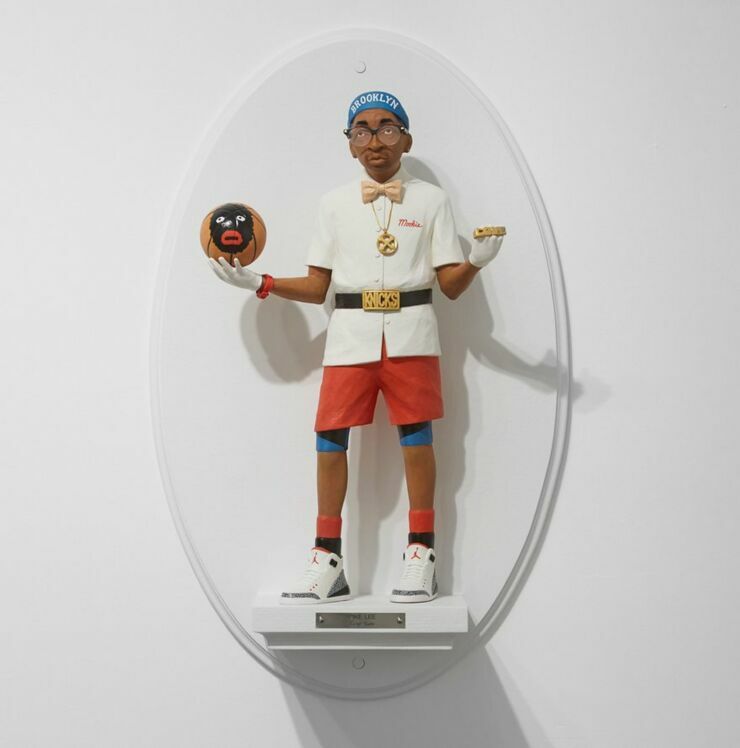 Each figure is 1:4 scale and stands around 18 inches tall (or wide). They are sculpted from wood with smaller details like faces and hands sculpted in polymer clay. They're then painted with acrylic. Leavitt says he carved them from wood like directors cut a take or reel. "Great film directors get cut up. They take pains with the details, story, money and sacrifices to their vision. Their body succumbs to the pressure." "Leavitt says on his website. "'King Cuts' are totems of satire and devotion to the 16 best storytellers ever. Art and film treat my pain. They're magic. They trick me into remembering why this world is so damn beautiful." You can check out the 16 different figures below. 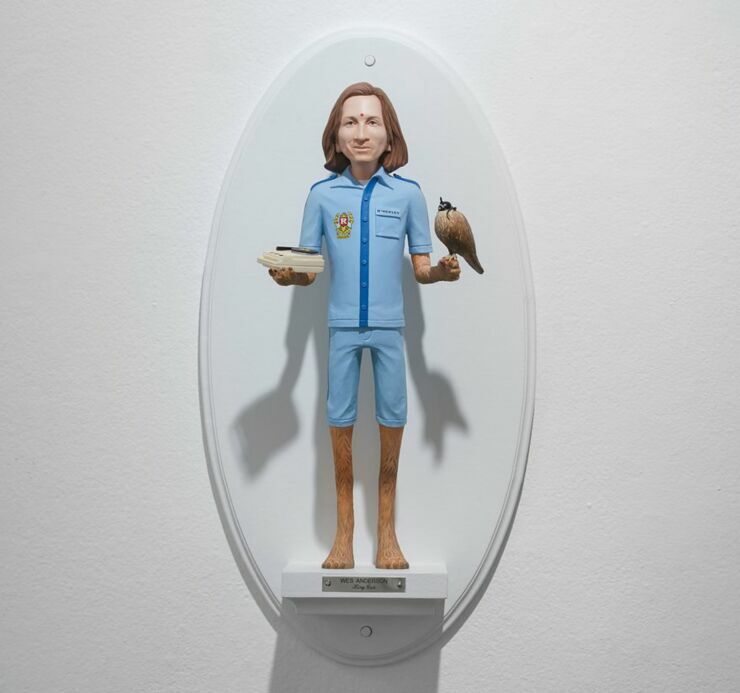 The Making of Wes Anderson: Hand-Carved Sculpture by Mike Leavitt.Jonathan LeVine Gallery is pleased to present King Cuts, a solo exhibition of new work by Seattle-based artist Mike Leavitt in what will be his third solo exhibition at the gallery. Great film directors make sacrifices and compromises when creating a movie. They’re eaten by their work and very often their body succumbs to the pressure. 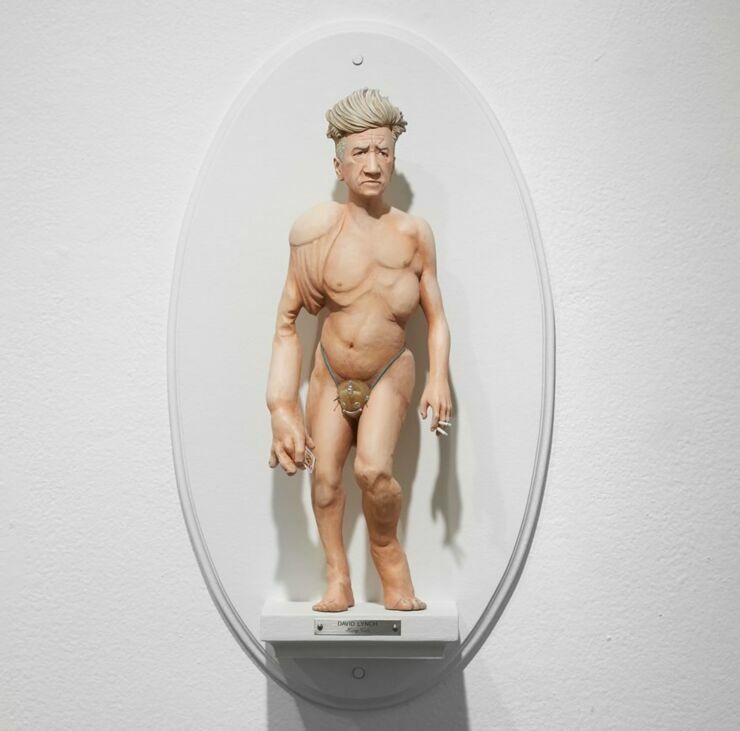 In King Cuts, Leavitt transforms some of the most renowned directors into satirical sculptures, combining their physical attributes with features reminiscent of their most recognizable on-screen characters. 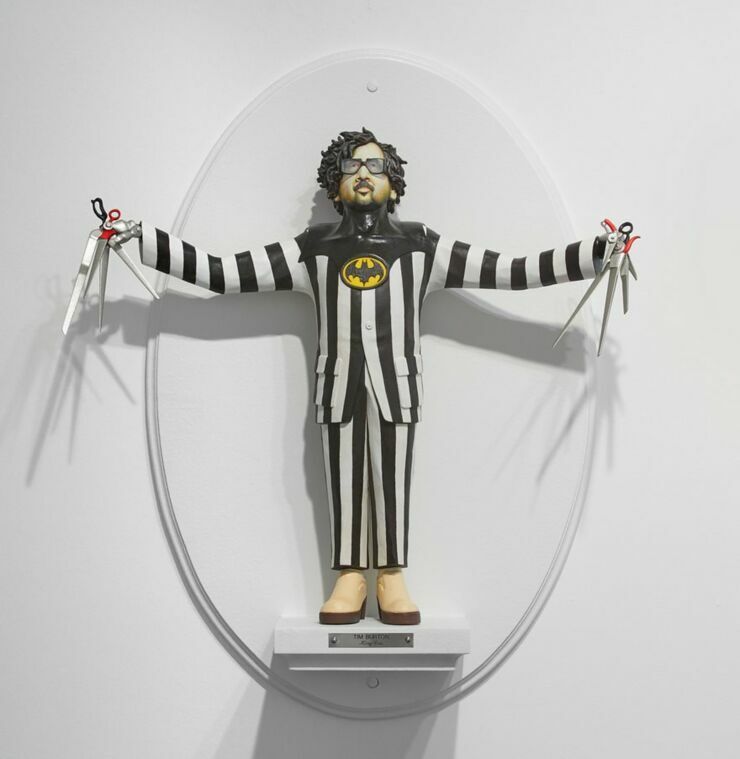 Standing 18 inches tall at one quarter inch scale, each sculpture is carved from a single block of wood, similar to the way these auteurs might cut a take or reel. 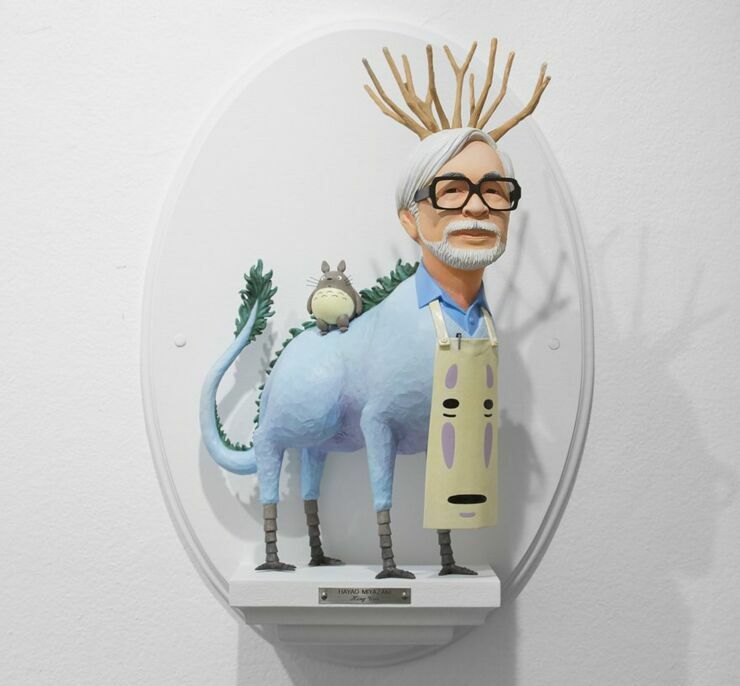 Through his clever mash-ups, Leavitt has created totems devoted to the best story tellers of all-time that explore the role of being an artist and pose the question, is it possible not to merge art and life? 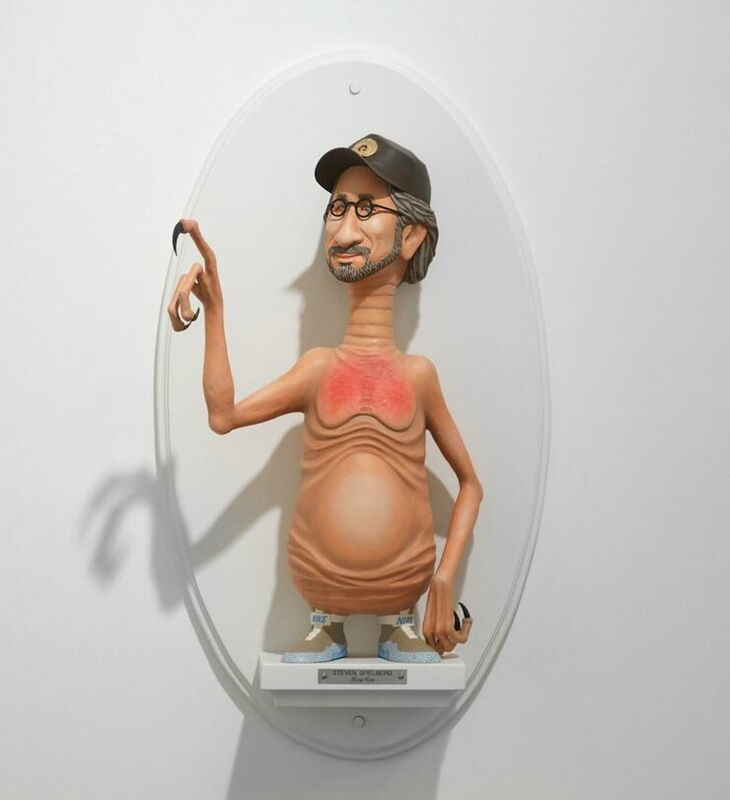 Similar to the way Kubrick, Spielberg and Tarantino use the camera like a window to gaze out, Leavitt humorously reverts the gaze back to them. Under their control or not, work sweeps over the life of the creator. 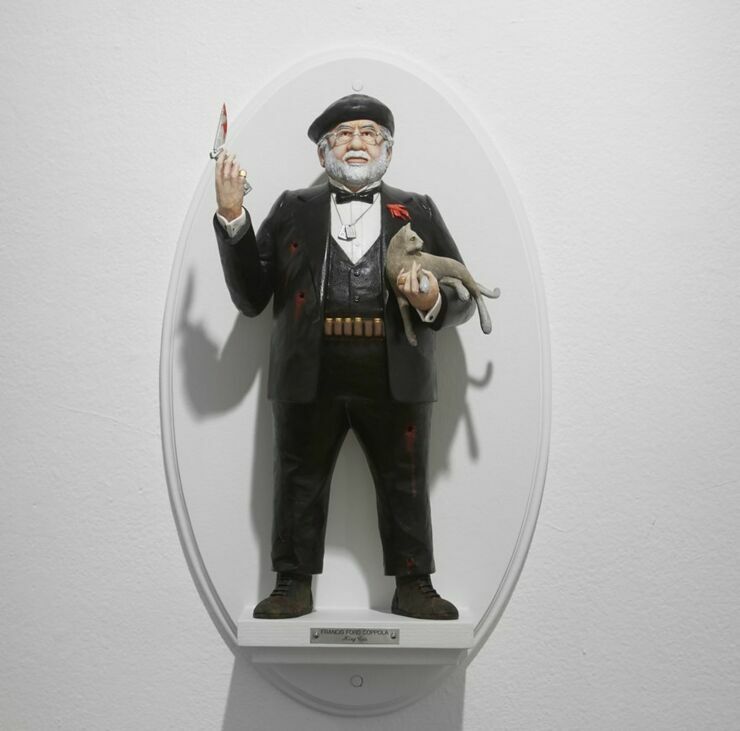 Their imagery becomes more powerful than themselves and their icons overtake their anatomy. Leavitt is a passionate film buff and aims to elevate these directors as high artists, while also surreally lampooning them with a taste of their own iconic medicine. He explains, “I love movies and I love art. The magic overwhelms me. Moviemakers are consumed by their work, similar to the way my own work overtakes my life. Whether a block of wood, a scene ending or film reel edit, every cut takes conviction. Directors endure pain tending to the light of photography, the story’s tension, the limits of money and the sacrifices to their vision. Trust in that vision is so powerful that they relinquish their anatomy. 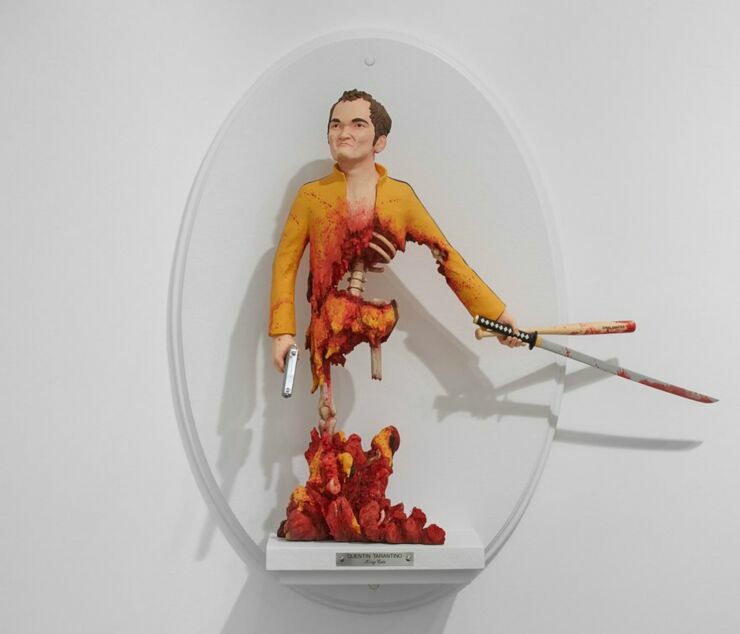 That’s why I sculpted their bodies physically devoured by their work.” Subjects include Kathryn Bigelow, Stanley Kubrick, Spike Lee, Steven Spielberg, Quentin Tarantino, Wes Anderson and more. ABOUT THE ARTIST Mike Leavitt was born in 1977 in Seattle, Washington, where he is currently based. 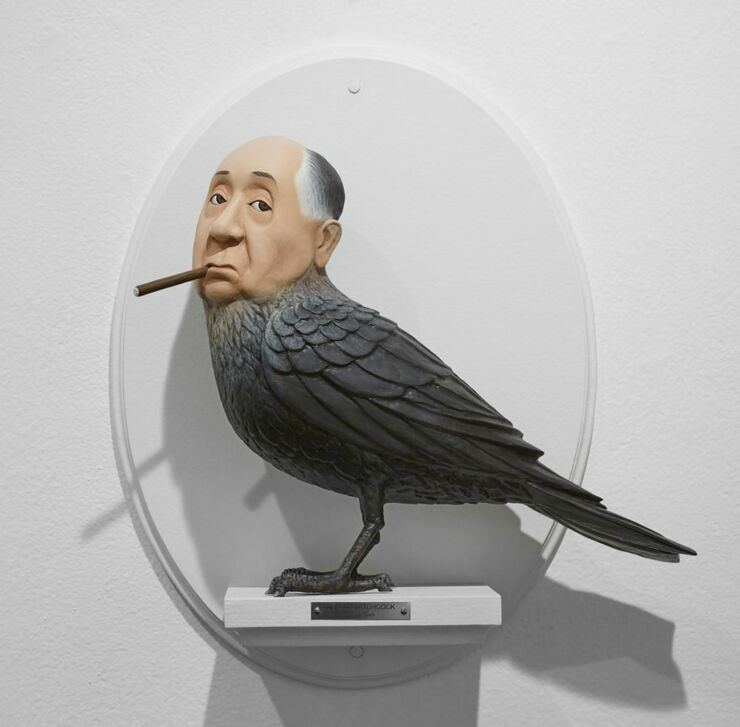 Also known as ‘ReMike,’ he marries the high and low with consumer satire projects. 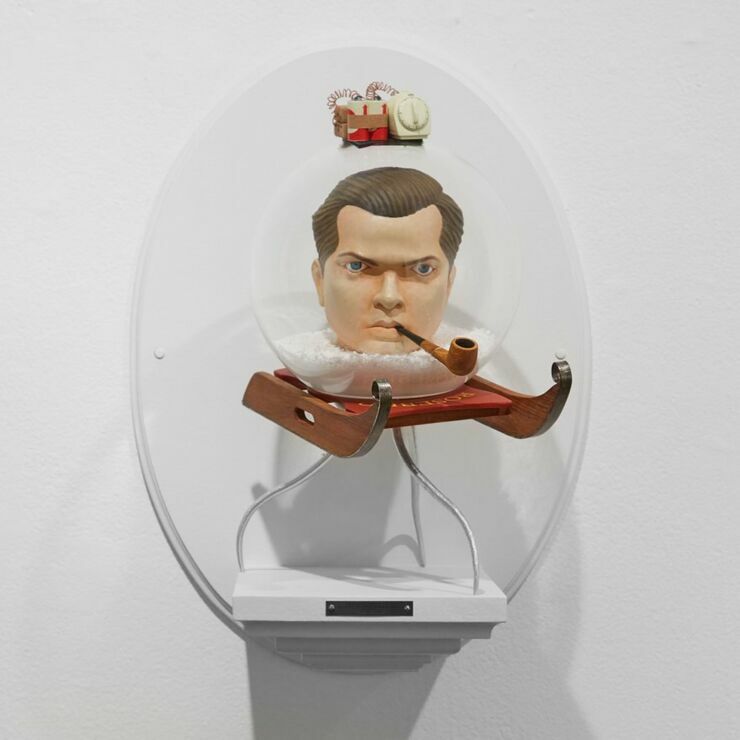 His process of making and re-making objects includes painting, sculpture and product design. 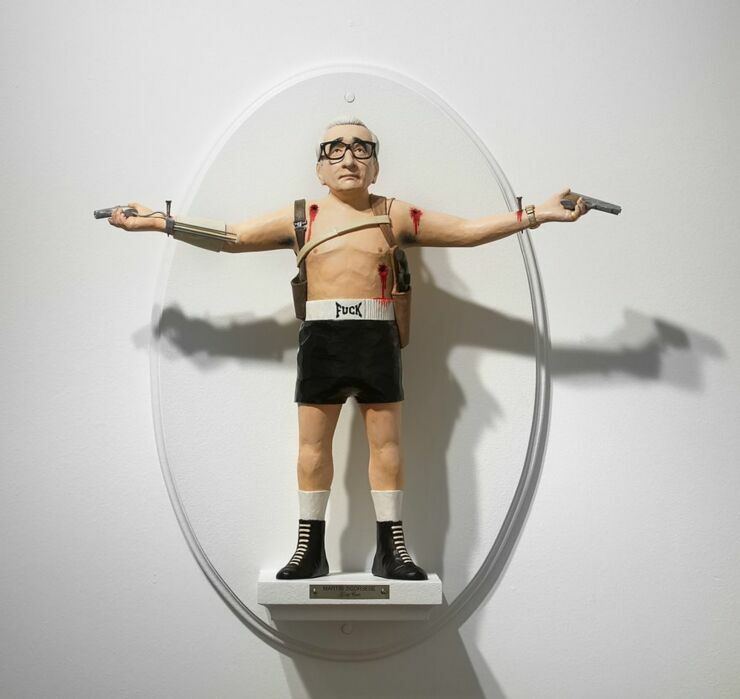 Leavitt is well-known for his Art Army project, an ongoing series of figuratively representational sculptures that reference the likenesses of various icons including artists, politicians and other culturally significant figures. In 2016, he made national news with his Bernie Sanders action figure. 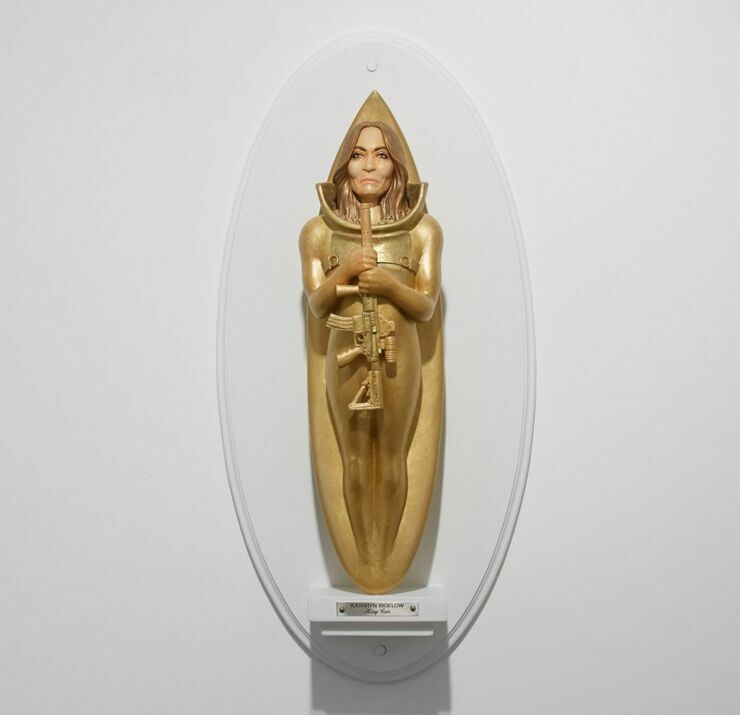 Leavitt has had over 122 exhibitions around the world and has been featured in ARTINFO, Wired Magazine, New York Magazine, The Huffington Post, The New York Post and Los Angeles Magazine.